More than a third of the UK’s buy-to-let landlords say they will raise the rent on their properties to counter the new stamp duty, according to research by mortgage lender Kent Reliance. The average monthly rent across Britain has already risen 3.5% in the last year to £872 ($1,259), but four in ten landlords surveyed said they expected another rent hike of 5.6% over the next six months. That’s an average of an average £49 added to your monthly bill. Stamp duty is a tax placed on buyers when they purchase a property in the UK. From April 1 this year, a new rate of 3% applied to all purchases of second homes. Three-quarters of landlords raising prices directly blamed the new stamp duty, while others simply said the rent increase was down to huge demand in the private rented sector. The value of the UK’s private rented sector has increased by a massive £156 billion in the last year to £1.2 trillion, making it “more than half the size of the UK stock market.” The value of rented homes is climbing at 9% a year, which also pushes up rents. Despite many landlords blaming stamp duty for planned rent hikes, there’s evidence that many are avoid the tax burden. Kent Reliance says a record 38,000 buy-to-let landlords applied for mortgages through limited companies in the first quarter of 2016, more than the total amount for the whole of 2014. 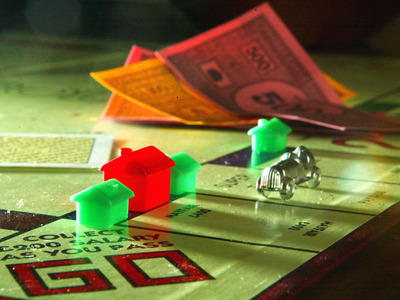 This method allows landlords to pay lower taxes as a corporation than as an individual. But it is tenants who are feeling the real brunt. Rents are rising, and landlords will increase them further as they pass on the increased cost of running their businesses. Far from supporting tenants, recent intervention will see them bear a heavier financial burden. As long as the demand for homes every year far outweighs the number of new houses, the only way to reduce the cost of housing in this country for tenants and first-timers alike is to build more. We need to see a paradigm shift, moving the focus from sustaining demand to expanding supply in all tenures. Despite the seemingly relentless housing demand in Britain, not all housing suppliers are happy. Luxury developers in London have now become so desperate to offload properties they are offering stamp duty discounts to tempt buyers and counter a perceived oversupply.